With Emerging Artists Contemporary Experimental Films and Video Art from Germany, AG Kurzfilm — German Short Film Association and German Films present the second edition of their program dedicated to short experimental works of young German artists. The films were selected by well-known representatives of German film festivals: Maike Mia Höhne of Berlinale Shorts, Alfred Rotert of the European Media Art Festival Osnabrück, Carsten Spicher of the International Short Film Festival Oberhausen, Giovanna Thiery of the Stuttgarter Filmwinter and Gerhard Wissner of the Kasseler Dokumentarfilm- und Videofest curated the program with seven works from more than 140 submissions. The premiere screenings took place during the Stuttgarter Filmwinter and the Clermont-Ferrand Short Film Festival. From May the program will be presented at festivals such as the International Short Film Festival Oberhausen. The program is avail­able for screenings at festivals, in museums or art galleries (DCP, Blu-ray Disc and other digital formats). 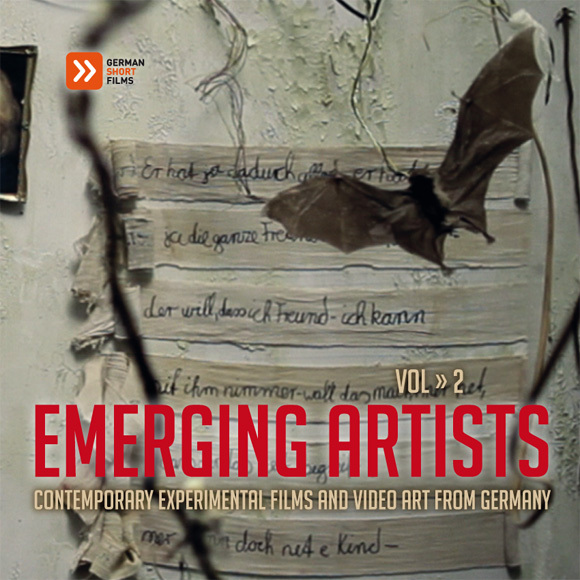 The second edition of the DVD Emerging Artists Contemporary Experimental Films and Video Art from Germany is available from the AG Kurzfilm or German Films upon request.